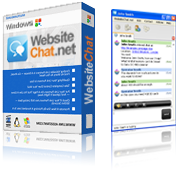 Chat with your website visitors and connect to other Instant Messaging networks at the same time. 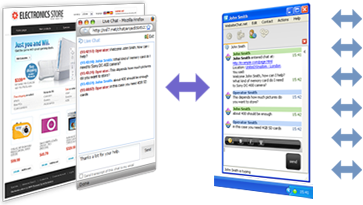 Our Live Chat Operator software is based on the Open Source Jitsi and CSipSimple projects. They are licensed under the terms of General Public License which means you are free to download it's source code and use or even modify it (if you are a Java programmer) as you like. Also because it is available to the public, you can be sure there are no nasty surprises inside, like viruses, spyware or adware.